Nov. 21, 2016 9:00 a.m.
After more than a decade of laboratory research, a revolutionary approach to cancer treatment is set to launch in British Columbia with clinical trials beginning early in the new year. Dr. Brad Nelson, director of the BC Cancer Agency’s Deeley Research Centre in Victoria, and his colleagues are joining forces with experts at the BC Cancer Agency’s Genome Sciences Centre in Vancouver to deliver truly personalized immunotherapy to patients across the province. Immunotherapy uses the body’s immune system to help combat cancer. T cells are the immune cells that circulate through the body searching for diseased cells to eliminate. In this case, the concept is to collect, activate, and expand a patient’s own cancer-fighting T cells and infuse large numbers of them back into the patient’s bloodstream. Once in circulation, the T cells are expected to recognize and destroy cancer cells throughout the body, thereby “super charging” the patient’s immune response to their cancer. 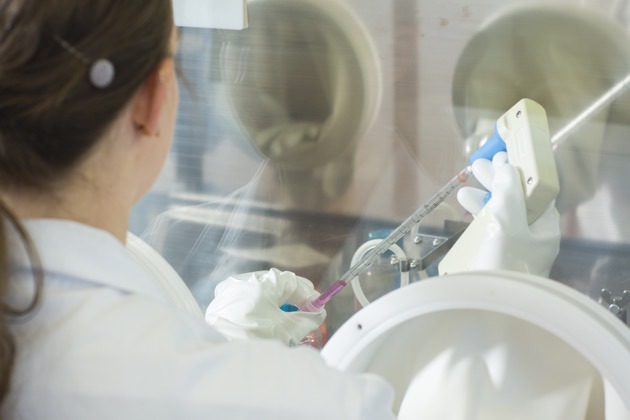 The Deeley Research Centre is just one of three labs in Canada focusing on T cell immunotherapy, and is globally recognized for its work on ovarian cancer. Thanks to the generous support of BC Cancer Foundation donors, the state-of-the-art Conconi Family Immunotherapy Lab at the BC Cancer Agency’s Deeley Research Centre will allow the research team to grow large numbers of potent, high quality T cells for re-infusion in patients participating in the upcoming clinical trials. “T cell therapy is the most exciting development I have seen in my career, and research in this area has produced fantastic results,” says Dr. Nelson.